I have been religiously following the Padres and their minor league system since the mid-2000's. Some of you may know me as the former lead writer for Friarhood, in which I was one of the bigger advocates lobbying for a Petco Park fence modification. In addition to a myriad of other platforms across the blogosphere. With my experience in blogging, writing, building relationships with players, (inside and out of the Padres organization over the years) -- some evaluators, various industry baseball operations, and other journalists; I will attempt to bring unbiased Minor League and Major League news, information and insight to the best of my ability. Writing about baseball is my cathedral, my sanctuary and therapy. Being a career baseball and Padres fanatic, watching the true fire-sales in the early 90's, a sailor scroll of failed drafts and musical-chair ownership groups; I share the passion to experience a championship club in San Diego, and understand the warranted fan criticism at the same time. I will be providing the latest Padre Major League and Minor League news. 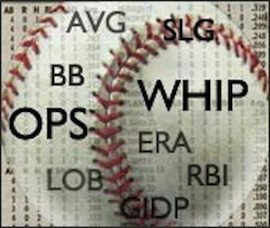 While I will focus primarily on the Padres news specifically, I will also cover major MLB and MiLB news, trade rumors, statistics and opinion pieces. My goal is to inspire thoughtful discussions, by providing information for a place where you can get as much insight and information as possible -- as we share our common passion for the game we all love.